Our Caesar’s Palace is an award winner in our fiberglass pools lineup! 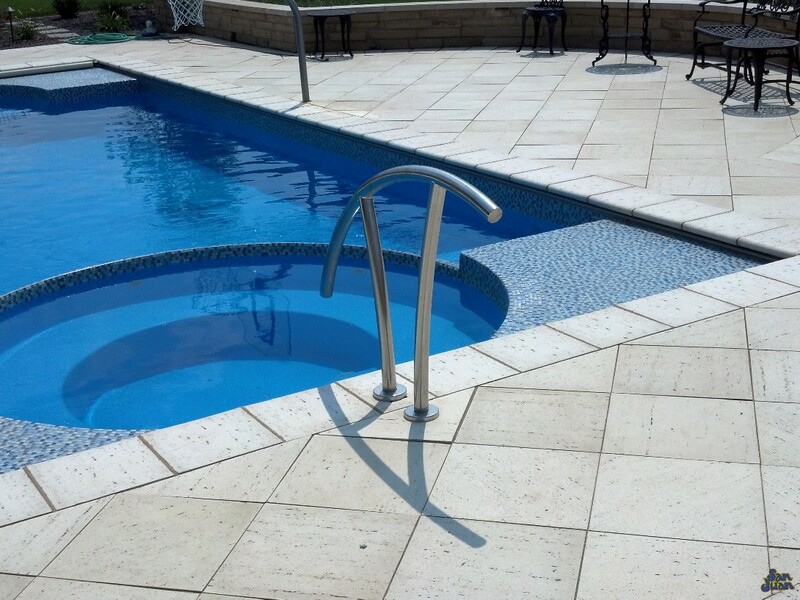 The Grecian pool shape entails a rectangular shape paired with two curved ends. Typically a Grecian shape includes a set of dual entry steps (on opposite ends). We’ve changed up this classic design and made some modifications that we feel enhances the functionality of our Caesar’s Palace pool model! 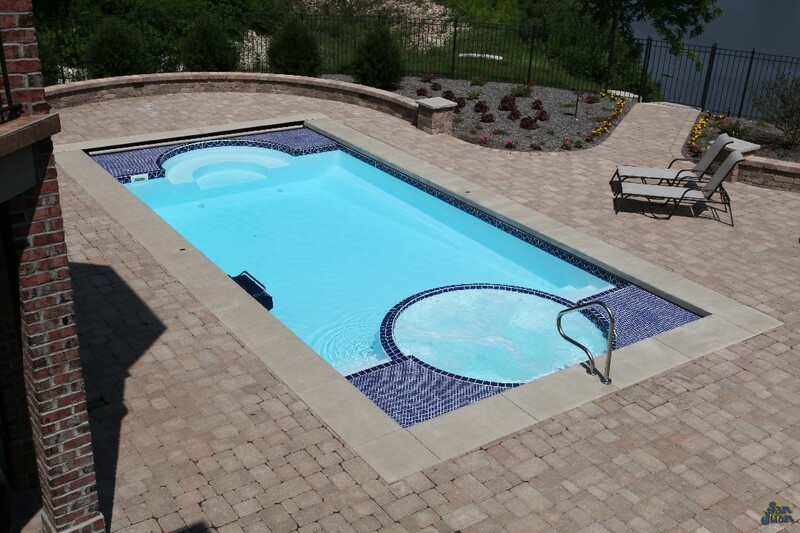 In addition, we’ve included a 5′ 8″ deep end with a deep end swim out seat. Our shallow end boasts a beautiful San Juan Spa that can be adorned with tile or left exposed for a nice gel coat exposure. 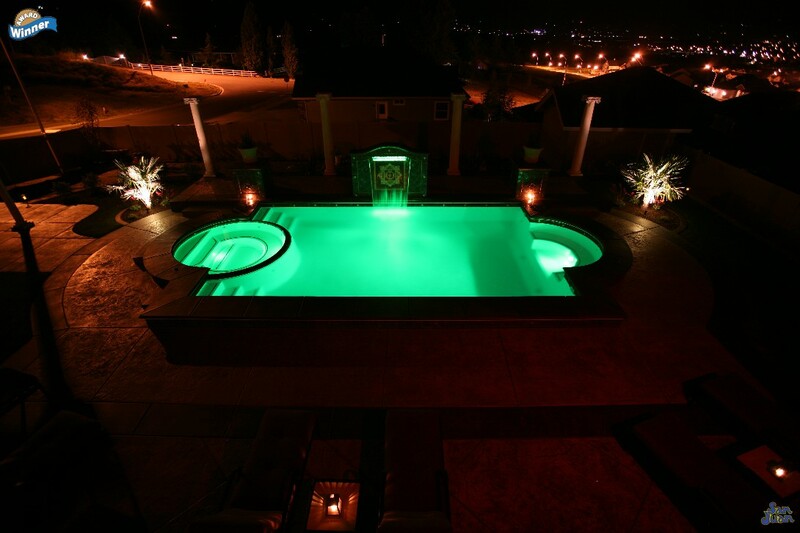 Our Grecian pool shape is popular due to it’s elegant design & diverse swimmer abilities. 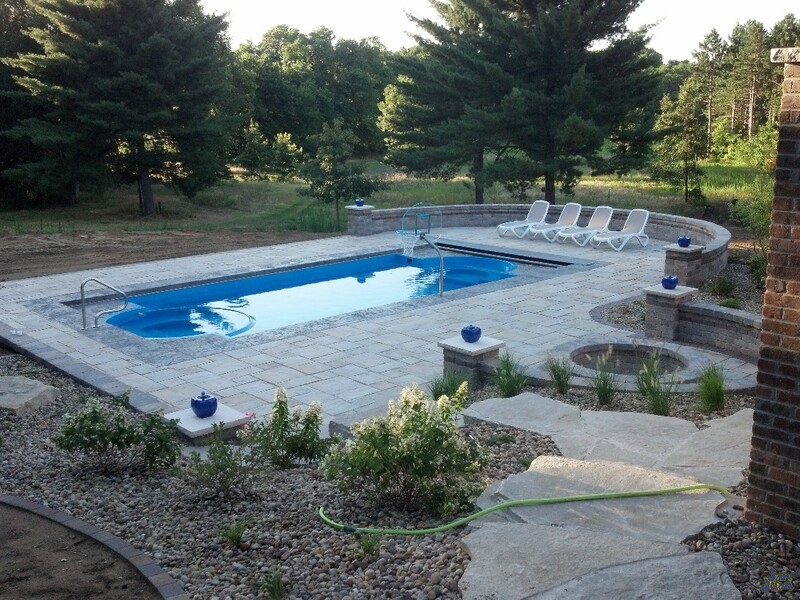 The attached spa lengthens your swim season from the early months of Spring to the later months of Fall. 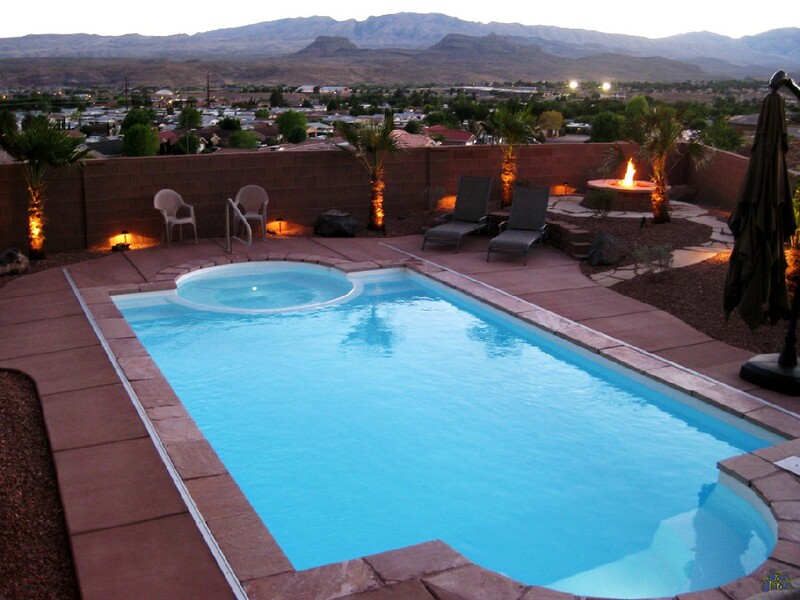 Fire up your pool heater while at a restaurant, using a swimming pool automation system, and this spa will be nice and toasty for your arrival at home! Secondly, the shallow-to-deep design is perfect for recreational swimming and gives you a lot more diversity within its 33′ 9″ length. We recommend styling the Caesar’s Palace with modern design approaches to present the allure similar to architecture found in Greece or Las Vegas. It’s a classy design that bolsters respect and enhances the beauty of your backyard with minimal effort. We definitely recommend our Grecian fiberglass pool for homeowners looking to entertain and want a backyard designed to impress!